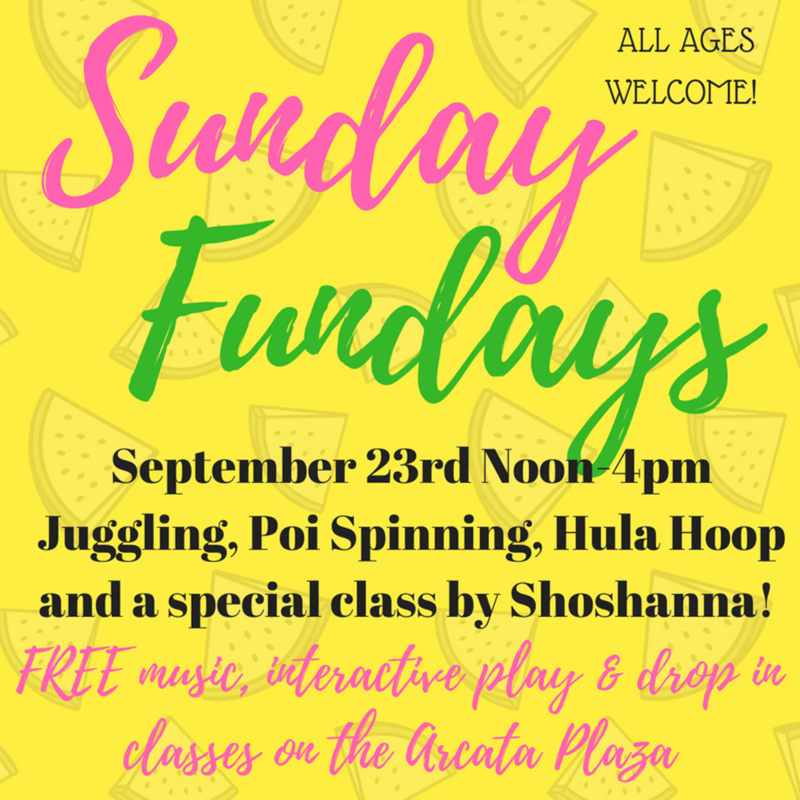 Sunday Fundays are FREE drop in classes and interactive play on the Arcata Plaza! 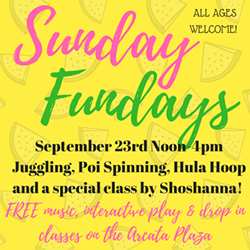 Learn a new skill or hone in an existing talent with one or more of our professional instructors in Poi (Flow Arts), Juggling, Hula Hoop and Dance! All ages welcome and encouraged!